First, after years of rejecting the notion that Facebook, with its troves of sensitive data, needed to be regulated, Zuckerberg publicly expressed openness to the concept. (Sheryl Sandberg, his chief operating officer, would soon enough put it even more convincingly, theorizing “It’s not a question of if regulation, it’s a question of what type.”) A few days later, Apple C.E.O. Tim Cook swiped at Facebook about this very topic, essentially telling Kara Swisher that Facebook’s use of its data was unethical. When asked what he would do in Zuckerberg’s situation, Cook turned the question around. “I wouldn’t be in this situation,” he said. 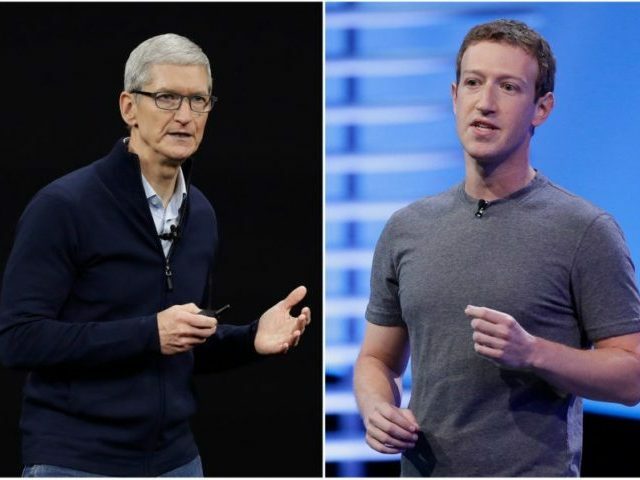 On a superficial level, it might seem like the hegemons who rule Silicon Valley have had a recent change of heart—that Apple and Facebook have stopped their cold war for the attention of humanity and begun truly looking out for their customers. And indeed, Zuckerberg presumably wants to do the right thing, and signal to his 2.25 billion global consumers, and the advertisers that covet them, that Facebook can be a trustworthy platform. But some people deeply entrenched in the Valley are beginning to wonder if some Vulcan chess moves are taking place beneath the surface. Regulation, after all, might actually be a good business move for Zuckerberg. Facebook was able to grow so big and so quickly, one tech insider said to me, precisely on account of the absence of regulation online during the past decade. If the government created rules around data collection and targeted advertising right now, it’s unlikely that any start-up could grow as large and quickly as Facebook did. It’s a “burn the boats” strategy, another insider told me, and it’s an incredibly clever one at that. There may be an ulterior motive to Cook’s talk, too. In the early days of the iPad and iPhone, Facebook and Apple needed each other. Facebook knew that its mobile apps were going to lead to huge growth on its platform (with over 1.4 million daily active-mobile users, it’s clear that they were right) and Apple wanted to ensure that it had the incredible Facebook products on iOS, its operating system, to entice people to purchase iPhones rather Google’s Android devices. Then a couple of years ago, the relationship began to sour. Behind the scenes, insiders tell me, this was partly because Facebook began exploring building its own App Store, with games and third-party apps, which would likely eat into Apple’s revenues. (Apple currently makes $11.5 billion a year through the app store.) This put Apple in a difficult situation. It couldn’t kick Facebook off iOS, since doing so would drive millions of people into the affectionately waiting arms of Android. Instead, the dust-up merely presaged a looming battle in the future, and resentment between two companies with a combined value of more than a trillion dollars. These days, that battle is coming into a more full view. Facebook has been working on a speaker for your home that is very similar to Apple’s HomePod. (The device has reportedly been delayed after the latest round of privacy woes.) Facebook, which famously purchased Oculus Rift for $2 billion in 2014, is working fastidiously on augmented reality and virtual reality. Apple has filed dozens of patentsaround V.R. and A.R. headsets and Cook said last year that he believes augmented reality is the future of Apple’s business. While Zuckerberg has said that he disagrees with this sentiment, and Boz himself has said he was just being provocative, another story published afterwards on the Verge noted that Facebook employees were more upset that the memo leakedthan they were about its very contents. “Leakers, please resign instead of sabotaging the company,” one Facebook employee wrote after the story was published. Read the full article in Vanity Fair here.